This old temple was built in the reign of King Rama I. Located on Na Phrathat Road. First classed royal monastery of Ratchaworamahawihan, Maha Nikai Sect. The actual named " Wat Mahathat Yuwaratrangsarit Ratchaworamahawihan". 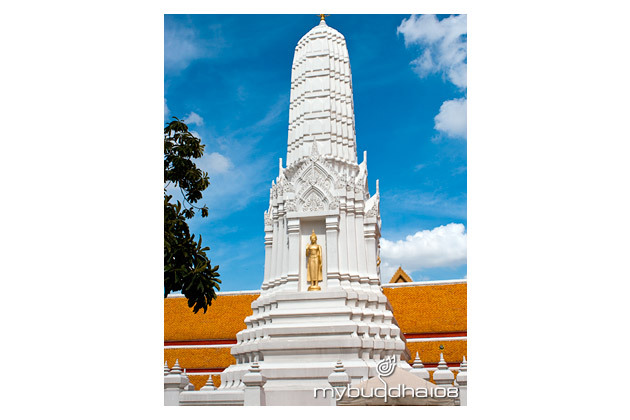 Initially call Wat Salak was found since Ayutthaya period, it was a royal temple in Thoburi period, then renovated by Somdej Phra Bowornratchao Maha Surasinghanat around 1783 and renamed to Wat Nipphanaram. 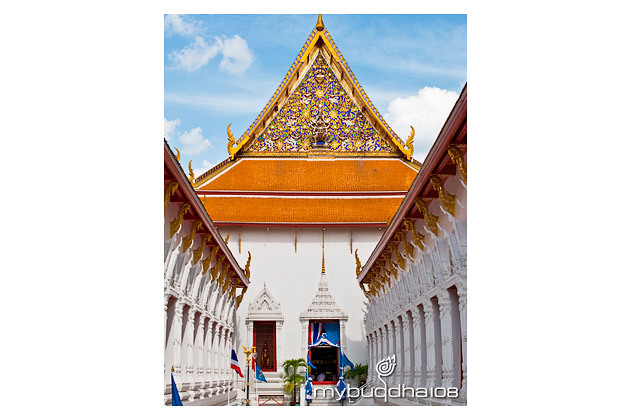 In 1788, King Rama l had all the Tripitaka thoroughly reviewed in this temple which renamed it to Wat Phra Sri Sanphet. He eventually renamed the monastery once again to Wat Mahathat. The temple in which the Buddha relics are enshrined and the supreme Patriarch resides. Ubosot is considered the country's biggest one, large enough for 1,000 monks to gather at one time. 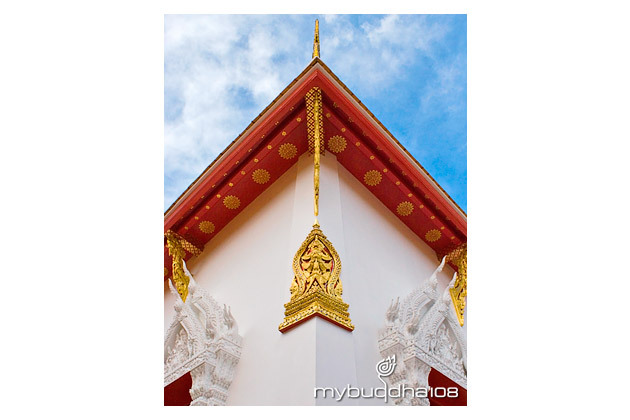 It is a Thai style building. The temple also has Maha Chulalongkorn Ratchawitthayalai, University inside. 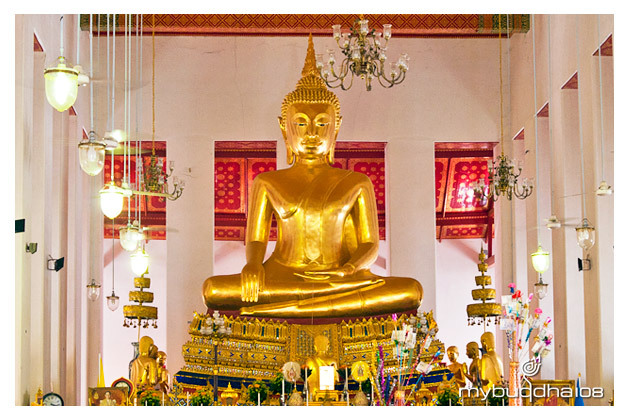 One of the two highest seats of Buddhist learning in Thailand and also offers meditation classes for foreigners. Address : Tha-Phrachan, Bangkok 10200.